So I know that I promised you more quiet book pages this week, but I got distracted this past weekend and made these guys instead of writing up my quiet book pages post. Aren't they cute, though? I wanted to make something small for my snugglebugs for Easter and I came up with these little guys. Then I thought that you all might like to make your own little Easter bunnies. Since there isn't much time really until Easter, I figured I'd probably better share these guys with you sooner rather than later. I hope these little guys are worth the wait for my quiet book pages! These little guys are made from wool blend felt (my favorite kind, and just a couple of inches tall). I don't know why, but I've always been attracted to small things, even when I was little. I loved to make and play with miniatures, and even play in small spaces. I had a large room as a little girl, but I always played in my closet. I loved toys I could fit in my pocket, which was the inspiration for my pocket pals last week. These guys are similar in size and have a cute little carrot-inspired sleeping bag and carrot friend to sleep with. I have this feeling that before my kids are grown they are going to have a slew of pocket-sized friends like these. I just love making small little critters like these! When I made these little guys I remembered that last spring I had picked up some little Easter tins in the dollar bins at Target. I remembered the cute tin mouse from mmmcrafts and thought my cute Easter tins would be a great way to package my little bunnies in the girls' Easter baskets. 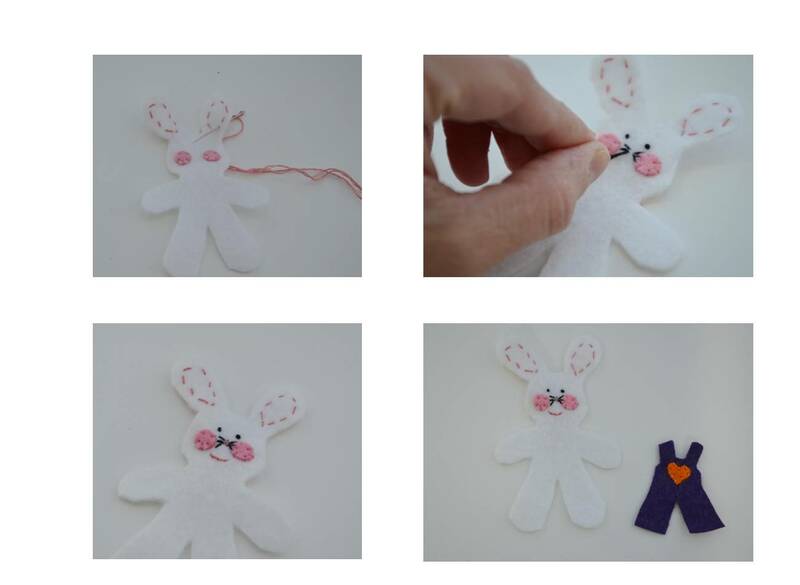 Would you like to make your own felt bunnies for your own personal use? I've provided a template and short tutorial below. Happy Easter everyone! Now let's get started. Click on the template below and save it to your computer. Print it out on standard 8.5 x 11 printer paper. 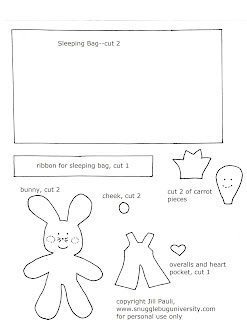 Cut out the pattern pieces and then cut the pieces out of felt or fabric (sleeping bag). Since these bunnies are so small, I highly recommend a good pair of small sharp scissors. Take the time to really make the edges perfect. In the end you will be glad you did. Stitch on the felt cheeks to the front of the bunny. Then it is time to embroider the face and add the heart pocket to the pair of overalls. Sew the overalls onto the front of the bunny. Now it's time to sew the front of the bunny to the backside of the bunny. I used a simple blanket stitch, adding a little bit of stuffing as I went along. I only added stuffing to the head and main body of the bunny, which makes the ears and arms more movable. Now it's time to make the carrot. Cut out your pieces. Sew up the 3 sides of the stem to attach the front of the stem to the back (as shown in steps 2). 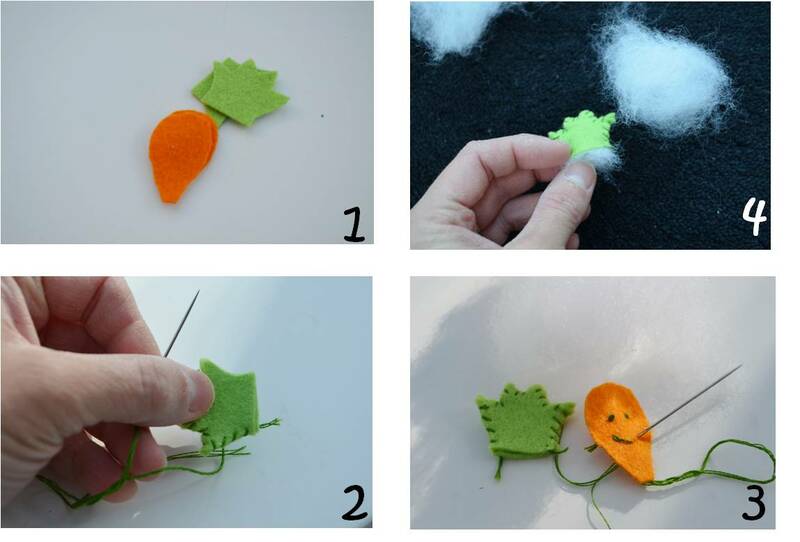 Then embroider the face of the carrot (step 3 below). Stuff the the stem of the carrot (picture 4 below). Attach the stem to both sides of the carrot by stitching directly through both layers of the stem and both the front and back of the carrot. Once you have finished attaching the stem to the orange part of the carrot, continue sewing the front of the carrot to the back, adding a little bit of stuffing as you go. Sandwich the two pieces of fabric together (picture 1 below). Sew 3 sides of the sandwiched pieces of fabric with a 1/4 inch seam. I used my sewing machine for this. Turn the pouch inside out (picture 2) to get an open pouch (picture 3). Press. Now it is time to sew up the last remaining edge of the pouch. This will be the part of the sleeping bag where the ribbon is attached. I fold the raw edges in and then press (picture 4 below). Attach the ribbon to the edge with the folded in edges, then sew. I sewed two straight lines, one along the top of the ribbon and another on the lower edge of the ribbon. 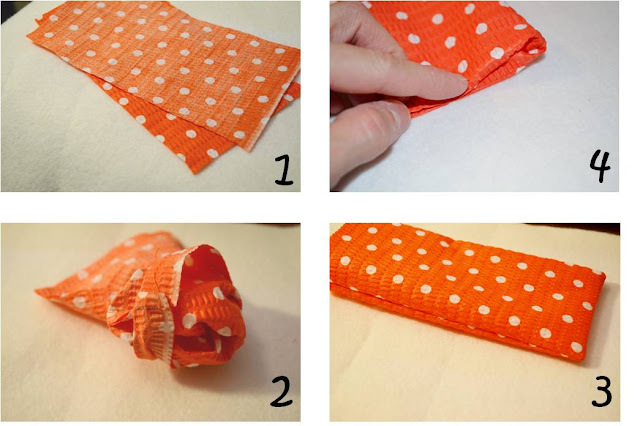 Now fold up the bag and sew up the sides to make a true sleeping bag. I made sure that each of the edges lined up, which made the bag sit a little bit open. This means that the bag puffs up a little bit, making it easy for little fingers to put the bunny inside. Tada! You're finished! Tuck your little bunny inside his nice little sleeping bag and if you want put him in a cute little tin. 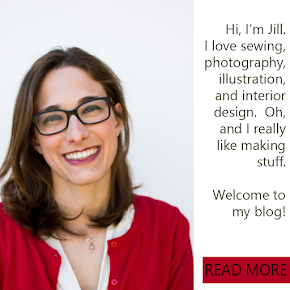 I hope you enjoyed this little project! If you used this template to make your own little bunny, I'd love to hear or see it! Post a picture on my facebook page or send me an email and I will post it for you. Don't forget to subscribe to www.snugglebuguniversity.com so that you don't miss out on more fun projects. box would become a doll or tiny animal bed or an acorn with lollipop stick would be a tiny pipe! Enchantment right from the start. Now I teach 8 yr olds to sew for their dolls and sleep shorts etc. Passing along a love of the wee things. 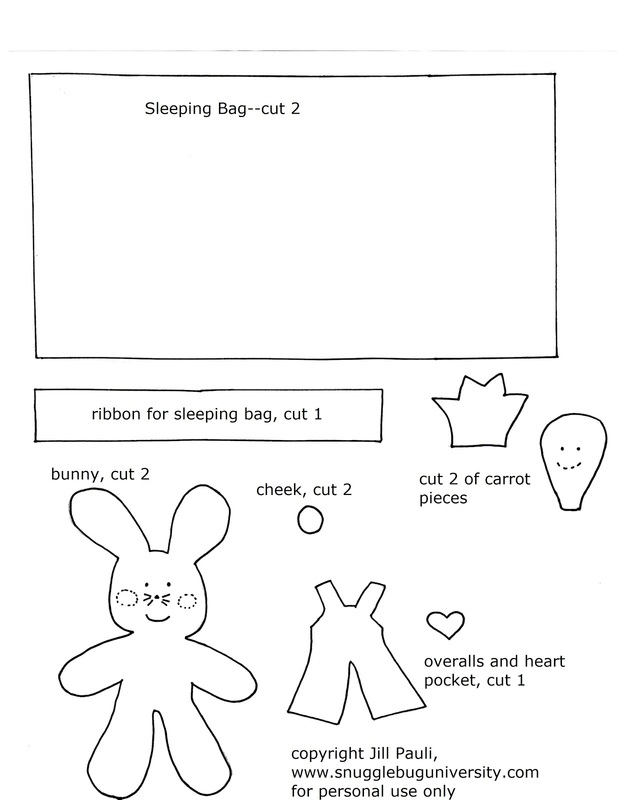 Love your bunny/carrot/sleeping bag -going to make one tomorrow!